Computer Viruses & Spyware account for the majority of problems Home and Corporate users experience when accessing email or the internet. Our skilled and experienced Systems Engineers are equipped with the latest tools and have years of experience dealing with corrupted operating systems and applications damaged by Viruses and Spyware. 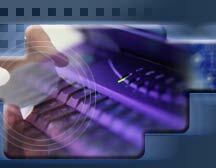 Often systems damaged by Viruses and Spyware can be repaired without doing a complete system reload. This saves time and protects your valuable data. If a system is beyond repair often the data can be rescued using special software tools that we have at our disposal. Unlike most "geek places" we do not charge an additional onsite fee to come to your location.